An access door that hides it all. Absolutely everything! 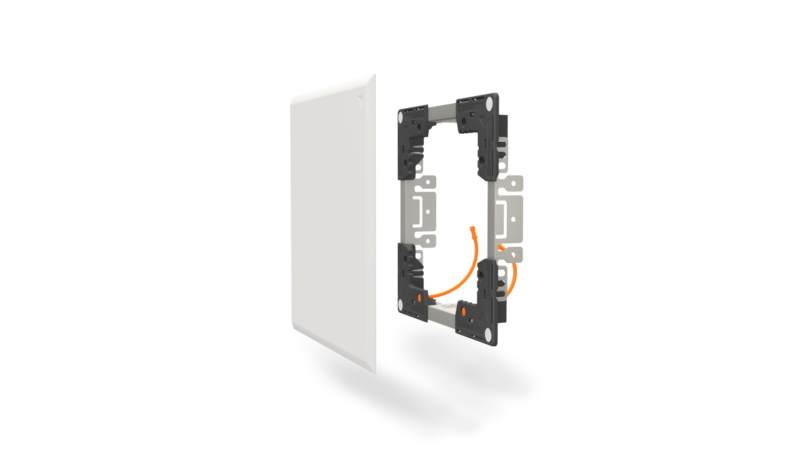 The FlexiSnap magnetic access panel serves to conceal all unsightly pipes and wires that you may need to frequently access. Thanks to its elegant finish and its versatility, it is suitable for any room in the house. It is a sustainable option that you will no longer want to do without! 3 sizes that will adequately answer your needs. View the product that fits best. Great news! Installation requires no renovation expertise whatsoever and limited amount of special tools. The access panel can be quickly installed in two minutes, as compared to 25 minutes for traditional access panels. The installation template provided on the back of the packaging will help you complete all of the work with ease. You can obtain additional information by viewing the video or by consulting the back of the packaging for FlexiSnap products.